Rieker have been making footwear for over 130 years and are currently the world's leading anti-stress footwear brand. Rieker shoes are renowned for their comfort, style and the anti-stress technology which is unique to Rieker. This means that the shoes are lighter, flexible, shock absorbing and roomier. 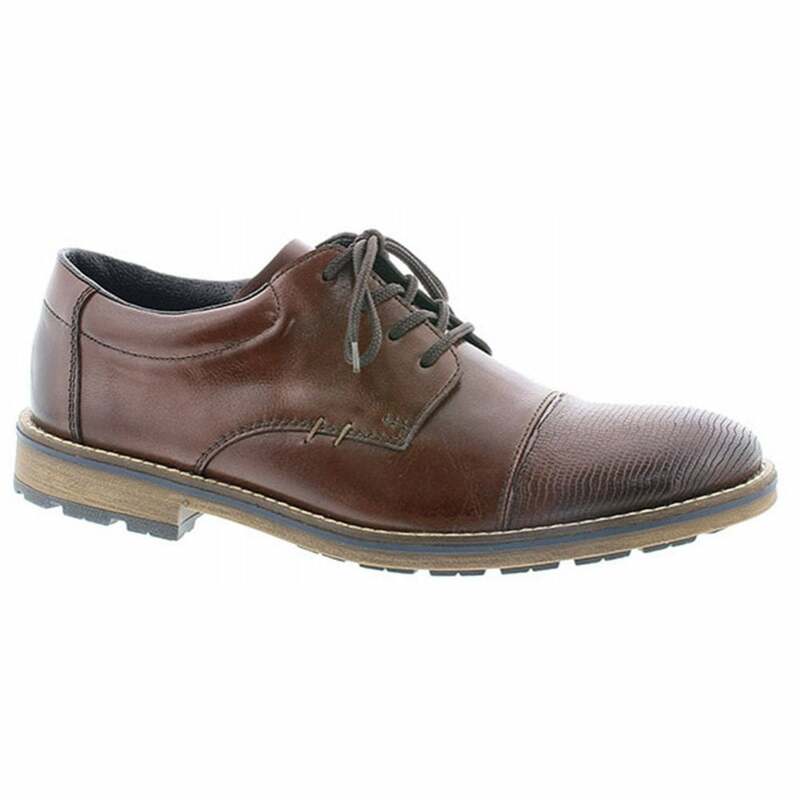 This is a stylish plain fronted lace-up shoe and is both a practical and durable shoe for everyday smart or casual wear. It has soft leather uppers and a padded insole for comfort. Lighter than your typical men's shoe, Rieker uses the best materials to create supportive, comfortable and breathable footwear for a large variety of feet.